Last week we took delivery of our first two (of eight) MEWPs. These are a Manitou RR AP ART17TH equipped with a 400kg basket, capable of carrying three competent men – improving productivity and capability in the ‘self drive market’. 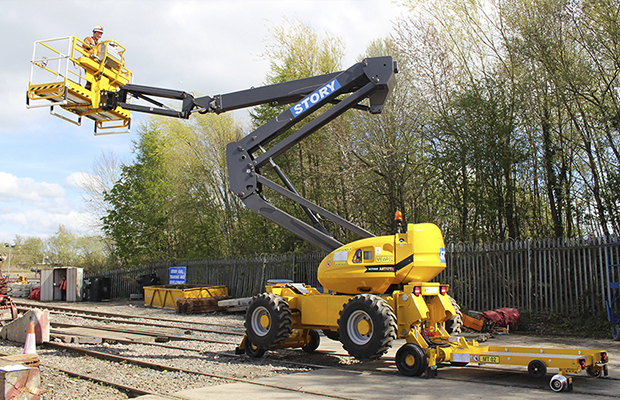 They are currently the best road rail MEWPs available on the market, and switch between road and rail operation from the basket control panel for optimum safety. The machines have an outstanding outreach performance, reaching 16m high, and offered a great view of our Burgh Road yard! They are currently up at our Bonnyrigg depot and are looking to be out working on the EGIP project over the weekend.